Earn $80.00 in VIP credit. Click to Learn More. 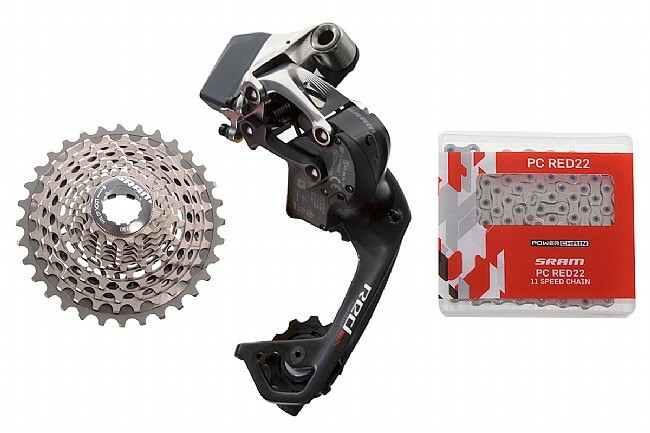 This SRAM Red eTap WiFLi Upgrade Kit replaces the short-cage derailleur on existing eTap drivetrains for compatibility with wide-range cassettes. 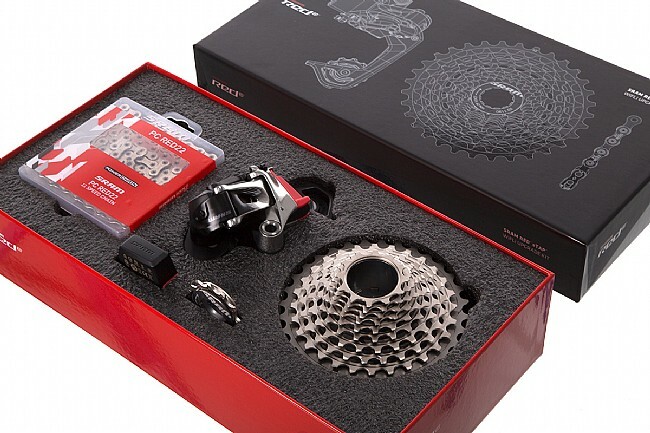 It includes a medium-cage Red eTap WiFLi™ rear derailleur that functions on the same AIREA™ wireless technology as the standard model. 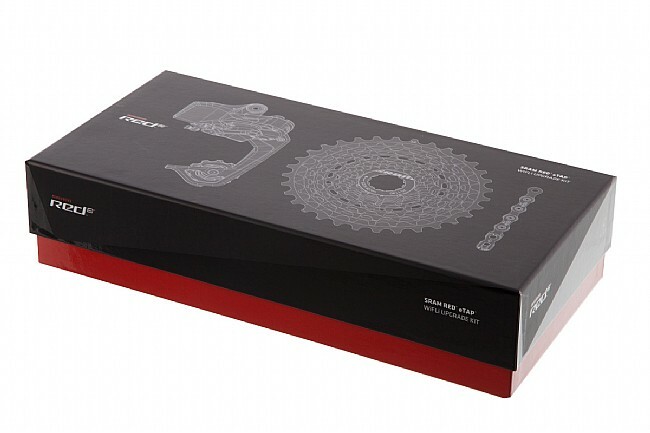 A Red 11-32 tooth cassette as well as an XG-1190 Red chain are included, making this a complete package for upgrading standard Red eTap drivetrains.